This is a delightful two acre pool that has four small islands. The pool is set in a beautifully natural surroundings on the edge of woodland. There are an abundance of birds and animals around this pool that are only out numbered by the fish. This pool contains Carp of all varieties, Tench, Bream, Roach, Rudd, Chub, Perch & Golden Orfe. 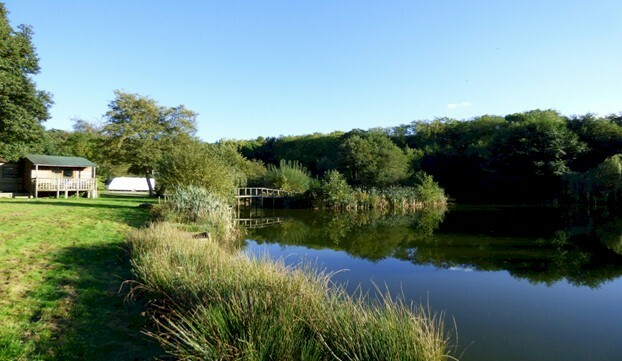 Eccleston pool is full of fish, and is equally ideal for the beginner or intermediate angler, as well as the angler that wants plenty of action. There are a number of fishing platforms for the less abled angler or those that just want a dry platform to fish from. You really cannot fail to catch from this pool and it is perfect for the younger angler to learn the sport. Day Ticket £8.00 for One Rod or £10.00 for Two Rods per Adult.